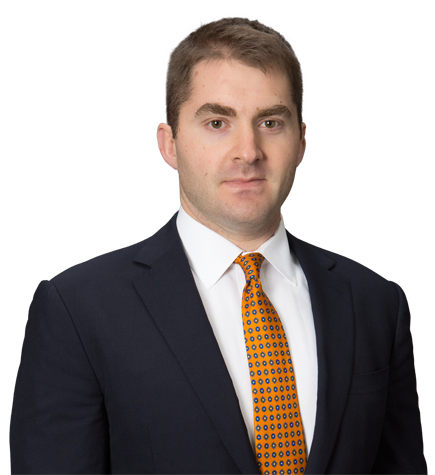 Andrew Krause has represented clients from a variety of industries in district courts, in the U.S. Patent and Trademark Office (USPTO) and before the U.S. International Trade Commission. Andrew’s clients in the life sciences industry include Genentech, Gilead Sciences and Rigel Pharmaceuticals, while his technology clients include Juniper Networks and Skyworks Solutions. From 2008 to 2010, Andrew worked as a patent examiner at the USPTO. Celltrion v. Genentech; Pfizer v. Genentech; and Sandoz v. Genentech (PTAB). Defending Genentech in connection with numerous inter partes review petitions for multiple patents relating to methods of using Genentech’s blockbuster drug, rituximab. The petitioners are competitors who have filed, or plan to file, for regulatory approval to market biosimilar versions of rituximab under the Biologics Price Competition and Innovation Act. In re Mobile Telecommunications Technologies, LLC (E.D. Tex. / D. Del. / MDL). Representing Juniper Networks in a multidistrict patent litigation in which the plaintiff asserted a number of patents relating to wireless communications technologies. Following a favorable claim construction ruling, the plaintiff dismissed all claims with respect to one of the asserted patents, and stipulated to noninfringement of the others. The case is currently pending appeal. Represented a small, innovative pharmaceutical company in a complex patent infringement suit concerning an FDA-approved small-molecule cancer drug. The case settled favorably. Represented the technology transfer office of a major research university in an investigation relating to the improper use of research funding and misappropriation of intellectual property by a former graduate student.